Admins/ Global Moderators aren't showing on forum legend. Hello! So, i've been having this problem for a while, and i hope you can help me. I tried to google what can cause it, but i simply can't fix it through the ACP. We're developing a game, a friend an i (He made the site, but gave me founder access too), and i've made some groups for our staff. I want all of these groups having the chance to moderate the forums as full moderators. 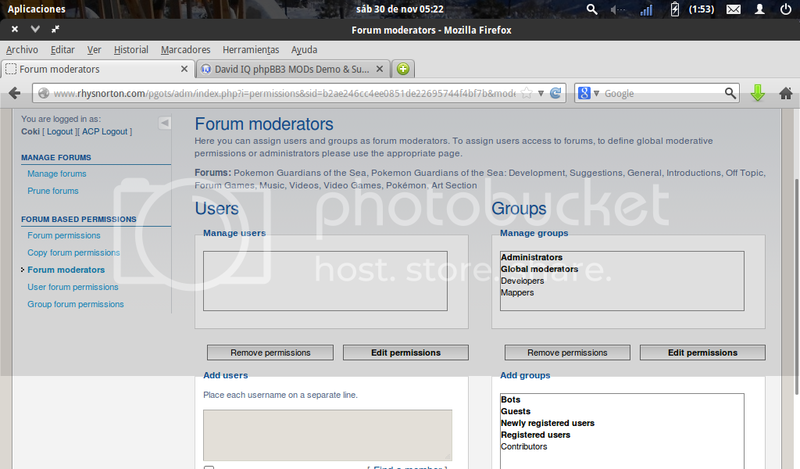 I already setted the permissions and added them as moderators of all the forums. The groups i created are shown as moderators of those forums, But the Administrator/global moderator forums aren't. Any idea on how i do to fix it? Admins and Global Mods aren't showing in the legend: Check it on the link i sent. For some reason photobucket won't upload my screenshot. Sorry! P.S: I read somewhere you can set the global moderators and admins as hidden groups and create new ones with the same permissions. But i'm praying there should be an easier and faster way. lol.